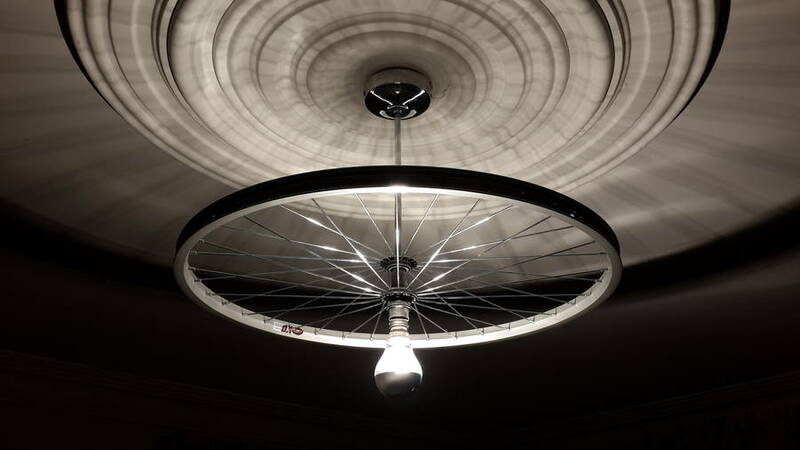 A statement light fitting for the cycling enthusiast in your life. 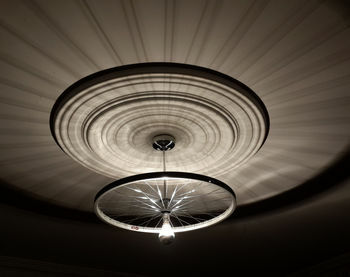 During the day, this light fitting has a minimalist, pared down industrial feel all in silver. 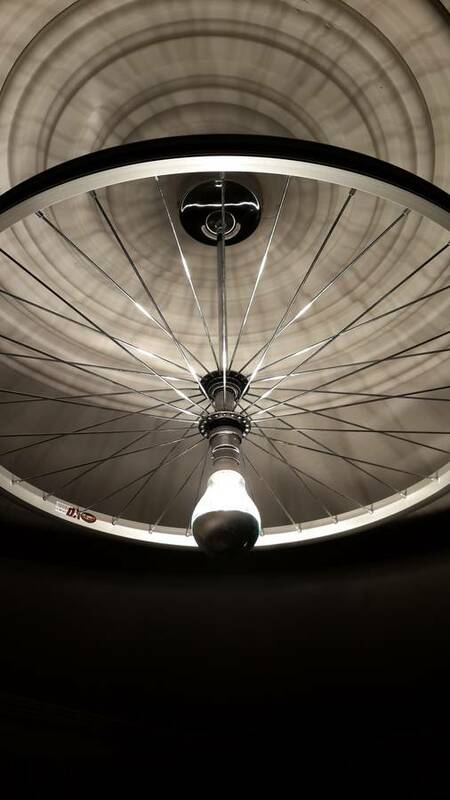 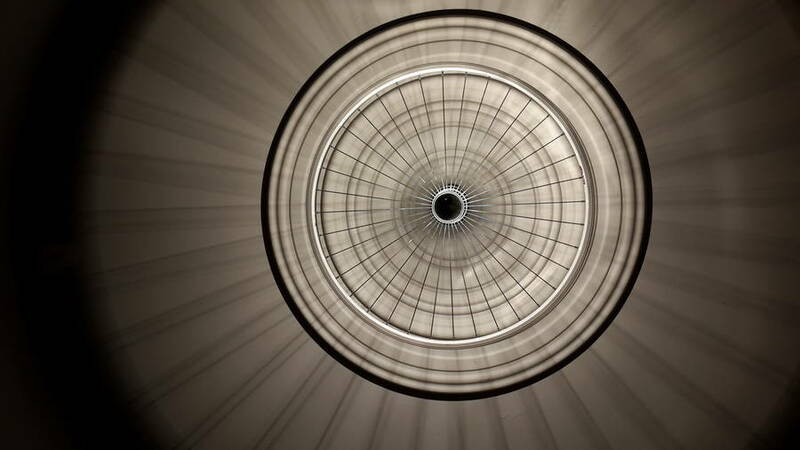 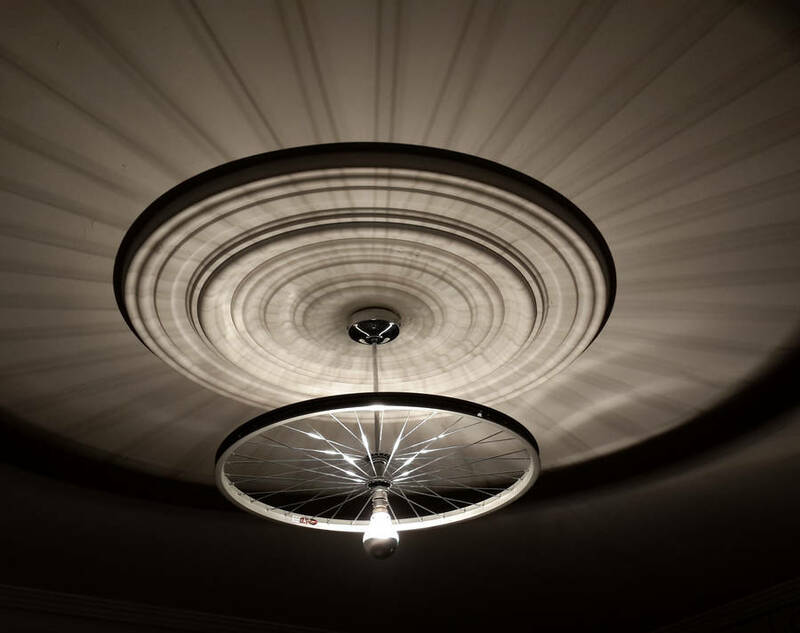 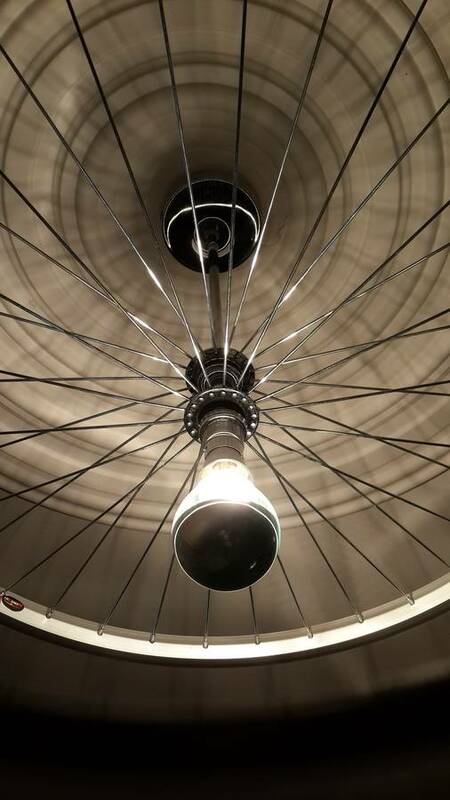 Come night-time, the chrome underside of the bulb throws the light upwards, creating a dramatic, magnified silhouette of the bike wheel, spreading out across your ceiling, giving an atmospheric glow. 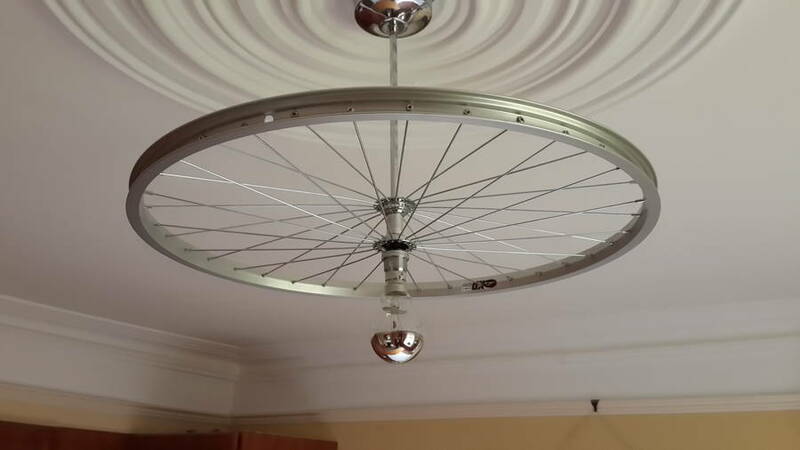 Aluminium wheel and chrome dipped bulb.